• 32-bit CPU, Up to 5ips print speed for superior print performance and strengthened printing module handles difficult print jobs such as thick tags, fabric labels, and tough label printing. • No ribbon wrinkle with centralized thermal print head. • RS-232 and USB interfaces available. • Reflective and transmission sensor available. • Enlarge 5” OD media capacity and roomy media compartment design. • Easy media loading & ribbon installation and installed plug-in cutter/peeler module. • Leverages Argox existing controller technology. 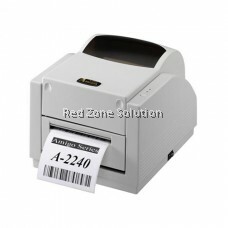 • Support 1D/GS1 Data bar, 2D/Composite codes and QR barcodes. • Full range of options :Cutter, peeler, stacker, RTC card. The A-2240 thermal transfer printer features fast performance, easy integration, and a compact, stylish design. Rapid printing performance of up to five inches per second relies on a 32-bit microprocessor and built-in 4M Flash and 8M DRAM memory. Offering flexible connectivity with standard parallel and serial ports, and a USB interface, this printer is easy to integrate with existing systems. 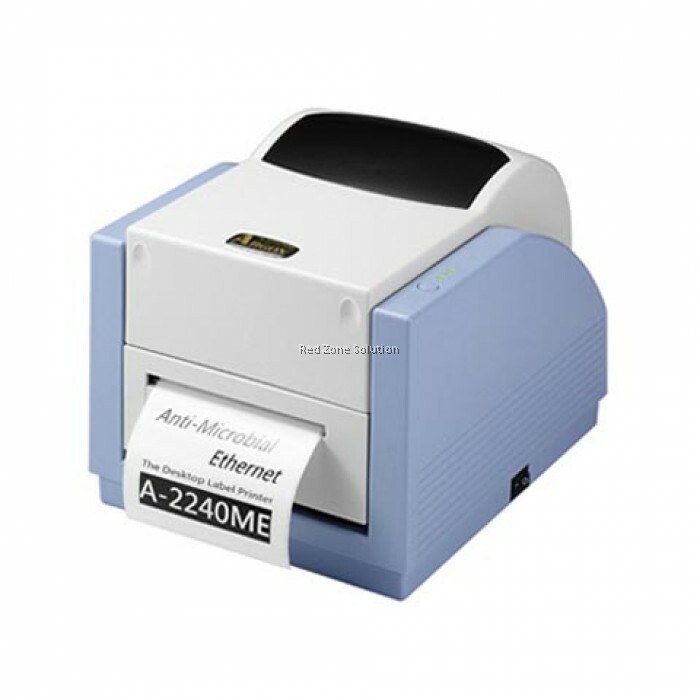 An optional Ethernet interface (A-2240E) allows convenient connection to networks. A seethrough window lets users check on when to reload media. Centralized printing alignment allows a maximum 5" OD media roll. Reflective and transmissive sensors offer convenient handling of a broad range of media up to 50-inches in length(100 inches available by command). The printer offers an additional fixed transmissive sensor for tag applications such as used by the apparel industry. It also supports 1D/GS1 Data Bar, 2D/Composite codes and QR barcodes. 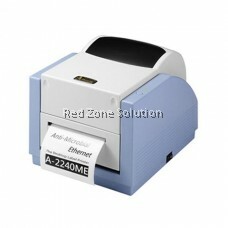 The A-2240 is an easy-to-use entry-level printer that delivers exceptional value.